Waterproof flooring has become a very popular flooring option in recent years, especially with looks that can mimic the rustic beauty of real hardwood. If you’re located in our home of South Florida, waterproof flooring may be just what you need with the high-moisture climate we face year-round. Tropical storms are also a problem in South Florida that have flooded many homes in the past. Therefore, we need flooring that will not degrade when submerged in water for extended periods of time. 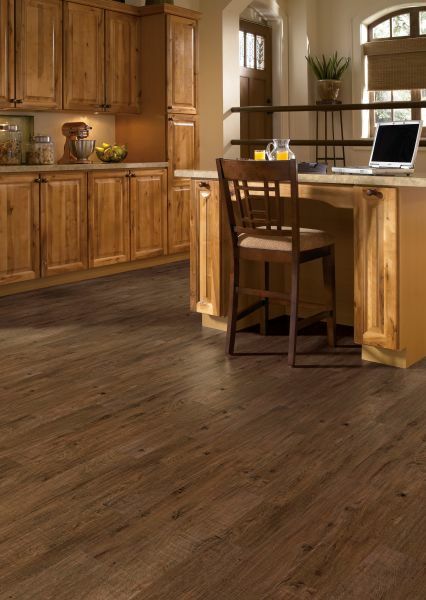 With waterproof flooring, this means that the color of the print film will not fade, and the wear layer won’t curl up at the edges of the planks. The overall composition won’t break down due to water. Because of these awesome features, a commonly asked question is if waterproof flooring would be good to install in outdoor areas. Although it is waterproof, the flooring is not warrantied for sun damage or other outdoor elements. Therefore, we do not recommend installation in outdoor areas. 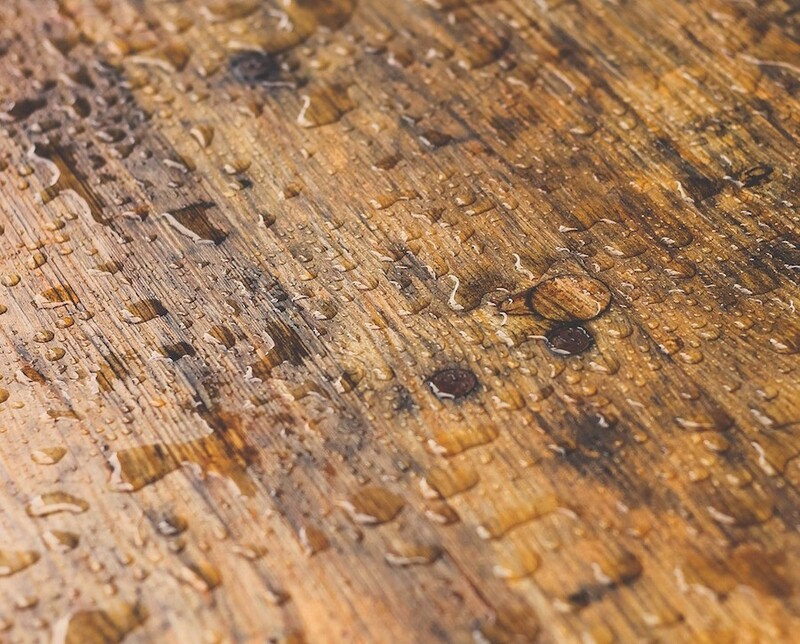 As explained before, waterproof flooring doesn’t degrade when submerged in water for extended periods of time, while water-resistant flooring is not immediately impacted by water when mopped or dried up within a reasonable amount of time. Otherwise, plank discoloring and/or curling at the edges can occur. Waterproof flooring can be installed anywhere in the house including kitchens, bathrooms, laundry rooms and basements. We don’t recommend installing mere water-resistant flooring in these specific areas due to water frequently collecting on the floor. Here at Dolphin Carpet & Tile, we offer the best brands of waterproof flooring for your home because we know how everyday life can be hectic and messy, and with our South Florida weather conditions, we want you to be prepared for anything that comes our way. COREtec is a luxury vinyl consisting of four layers: The top wear layer, the luxury vinyl layer (which gives it it’s beautiful look), the COREtec Core Structure later, and the cork underlayment. Each layer provides specific duties to the floor, giving it the waterproof quality it promises. The COREtec Core Structure layer is the most important part, providing additional strength and density compared to any regular luxury plank vinyl. Pictured here is COREtec plus 5-inch plank deep smoked oak. You can see how much the luxury vinyl can imitate the look of actual hardwood, looking absolutely gorgeous in this kitchen setting. Pictured here is COREtec plus 5-inch plank Wheldon Oak. This luxury vinyl option goes great in any room, or even all throughout your home! 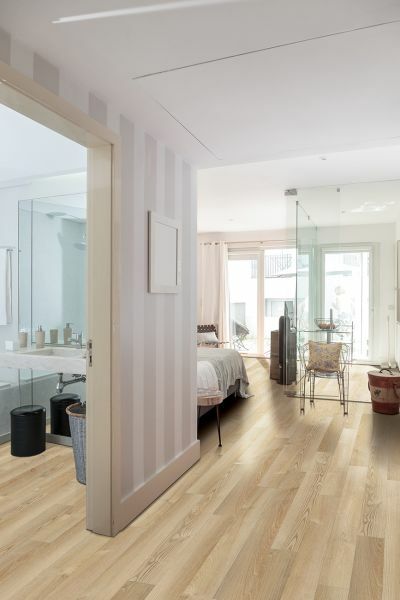 Revwood+ flooring is a 100% waterproof laminate option that is made from real wood. With its waterproof construction, easy cleaning and maintenance process, as well as its Mohawk’s All Pet Plus protection feature, if you have a busy household, this might be the option for you. Revwood+ is designed exclusively from real wood, with the exception of its protective surface wear layer. 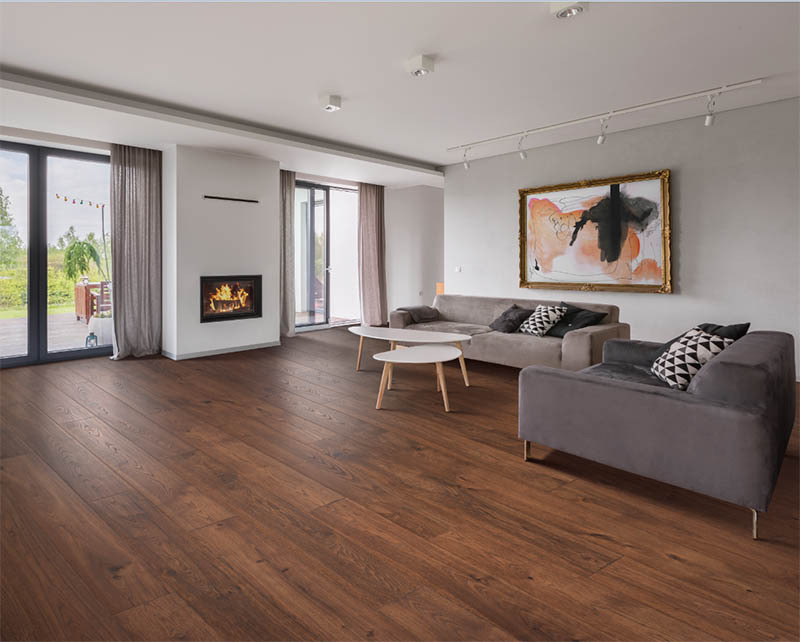 However, unlike other wood floors, Revwood+’s waterproof feature allows it to be installed anywhere throughout the home. Both COREtec Plus and Revwood+ are great flooring options for your home. Visit one of our store locations today to get more advice on which flooring option is better suited for your home and lifestyle!